Ready to take your backpacking experience to the next level? Join Team Lightning for an Easter weekend on the trail! Ready to take your backpacking experience to the next level? 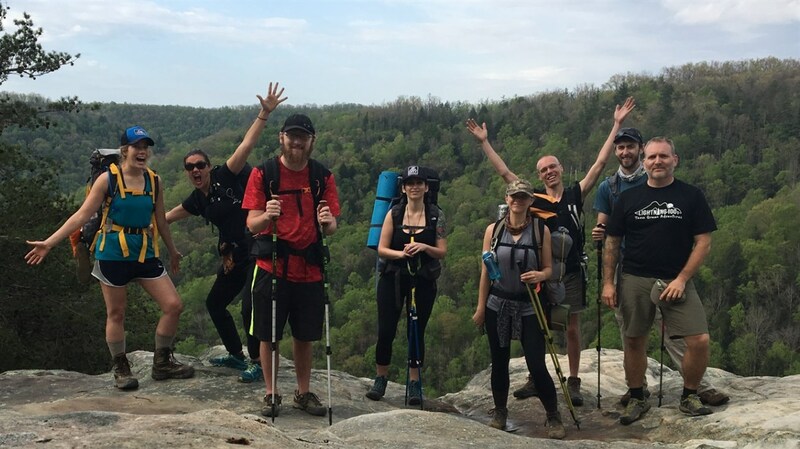 Join Team Lightning for an Easter weekend on the trail! This Intermediate trip will follow a loop from the Bandy Creek visitor center north and east through beautiful forest to our first campsite at Station Landing. We then follow the river bluffs south to Angel Falls for our second campsite, with stunning views of the Cumberland River Valley. Registration: Mandatory to attend this trip! Pets: Dogs capable of keeping up with the hike are permitted on this trip. Weather: Rain or shine! In the event of severe inclement weather, your trip leader will reach out to you with details about a reschedule or cancellation.